I have to admit, I was curious to see how Dr. Paul Offit would be interviewed on Comedy Central’s Colbert Report, which is why I stayed up until midnight to see the show air last night. I must say, Dr. Offit seemed oddly comfortable with the slightly ridiculous questions he received from Colbert in this comedy format. Of course, I’m not surprised. The world needs more people like Dr. Offit. He is direct, to the point, and not afraid to tell it like it is. Yet, what is most impressive is that he does it so effortlessly and in a way that anyone could understand. All great news for parents who question vaccines. In referring to herd immunity, Colbert suggests putting “all the people who don’t get vaccinated into a big bubble”. But, as Colbert exercised his comedic timing, he did it to be funny – not disrespectful. The delight came in watching Dr. Offit smile politely and respond to each question with poise and clarity – and even a bit of light hearted fun. When he is questioned about the lack of diseases present today, and the suggestion that vaccines may not be necessary, he replies, “When they work, absolutely nothing happens.” While it sounded humorous, it was entirely true and highlighted the fact that vaccination success is often what causes people to question their necessity. When Colbert brought up the suggestion that vaccines may be linked to autism, Dr. Offit clarified that studies clearly indicate that there is no proven link. Colbert pointed out that he wasn’t aware of such studies, Dr. Offit took that as an opportunity to admit that scientists are not doing a good enough job at getting the word out. I think the most intriguing part of the entire segment was that some of Colbert’s statements, though intended to be a bit outrageous, were likely questions that real parents would ask (if they only thought their doctor would actually take them seriously). By appearing in this format, Dr. Offit has certainly proven that vaccine advocates will go to great lengths to educate even the most non-traditional audiences about the importance of vaccines. By making the most of this interview opportunity, he has once again clearly delivered on his message. Vaccinations are important and the choice not to get vaccinated is certainly a risky one. 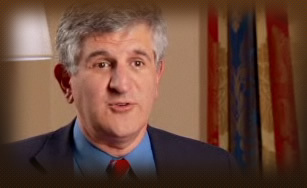 So what did you think of Dr. Offit’s appearance on the Colbert Report? Share your thoughts with us here. I thought both Offit and Colbert were outstanding (readers who didn’t catch the segment can go over to Respectful Insolence, where it is posted). In short, very well done sir. You REALLY outdo yourself in promoting this profiteering vaccine promoter! Of all of the arguments on threads on this site, Offit is BY FAR AND AWAY the clearest example of conflict of interest. People on here have attempted to crucify Andy Wakefield for accepting $50,oo0 which was declared by his team for a study that concluded that ‘more research’ was warranted about autism/MMR, yet you praise Offit who has earned at least $29 MILLION by recommending a vaccine for addition to the main vaccination schedule while earning royalties from the very vaccine he was recommending! And that is only ONE vaccine for which he earns royalties. Something about ‘pot, kettle, black’ magnified 580 times comes to mind here. And that doesn’t even cover the fact that this confirms that ‘independent’ research centers are working with big Pharma for profit, a fact vehemently denied by most pro-vaccinators. “Dr. Paul Offit of the Children’s Hospital of Philadelphia (CHOP) took home a fortune of at least $29 million as part of a $182 million sale by CHOP of its worldwide royalty interest in the Merck Rotateq vaccine to Royalty Pharma in April of last year, according to an investigation by Age of Autism. Based on an analysis of current CHOP administrative policies, the amount of income distributed to Offit could be as high as $46 million. There is nothing improper about receiving compensation for a patented innovation; but the extraordinary valuation placed on CHOP’s patents raise concerns over Offit’s use of his former position on the CDC’s Advisory Committee on Immunization Practices to help create the market for rotavirus vaccine — to effectively vote himself rich. Steve, I’m not even going to waste my time replying to all of your ranting but I can not imagine how you feel it is acceptable to make up information about not only Paul Offit but also Wakefield. According to every report I’ve read and heard on the news Wakefield made more than the equivalent of $750,000 for his “research” and had plans to make much more by selling a vaccine that would replace the MMR vaccine he suggested caused autism.As for Paul Offit – I can assure you the numbers you quote regarding his royalties are completely false! More important to the matter is that Paul Offit’s hospital was paid for the rotavirus vaccine patent. If not a single dose of vaccine is ever given again or whether millions more doses are given, Paul Offit and the Children’s Hospital will never make another dime on his endeavor – that’s the point of selling the patent in the first place. I know Paul Offit personally and I can assure our readers that he is one of the most caring people I have ever had the pleasure to be acquainted with. He cares about children so much so that rather than spend the rest of his days in retirement spending the money he did make for his life-saving vaccine, he instead spends his time educating fellow physicians and the public about the live-saving value of vaccines for children both here and abroad. He is a tireless advocate and an esteemed scientists…and don’t even get me started on Bill and Melinda Gates! Because Offit did science and Wakefield did fraud. It really is as simple as that. In the end the amounts don’t matter. Multiply the money Dr Offit earned by a million and the amount Wakefiled stole by 1/1000 and the essentials of the case remain the same. Wakefield sought to gain by lying scaring the public and subverting science itself. Dr Offit has earned money by providing the world with a safer vaccine which saves lives. The numbers have nothing to do with it. Amy, your self described ‘rantings’ are hardly that. 60+% of my post was a quotation from an article about Offit. Offit has NEVER denied that he has made a fortune from a conflict of interest. Neither have you (with any citation anyway). And regardless of what Andy has made over the course of 12 or 13 years now (according to your reports) it pales in comparison to Offit. My question is this: why is Wakefield evil and Offit a hero? That is the ENTIRE point. You are disingenuous when you state that “the numbers you quote regarding his royalties are completely false.” The amount paid to CHOP were completely transparent. The fact that the standard ‘cut’ for a researcher like Offit is 30% is completely transparent, yet you refute the mathematical outcome. Oddly you also contradict yourself by saying on one hand that the amounts are wrong and on the other “rather than spend the rest of his days in retirement spending the money he did make for his life-saving vaccine, he instead spends his time educating fellow physicians and the public about the live-saving value of vaccines for children both here and abroad.” Which is it? Did he not profit from his own recommendations or did he? As for Gates, read the other post on that thread. It is pretty hard to refute words spoken by the man himself…. One both sets of minutes, Offit is only as presenter, and not a voting member of ACIP. In addition, Offit did not make money off a “conflict of interest” – he made it from doing his job. A conflict of interest arises when you have a relationship to a study in such a way that you stand to benefit substantially from, and in particular, when you don’t disclose that you have such a relationship. That is the problem. If Wakefield had developed something ethically that helped a lot of people, then he’d deserve a fortune. But he didn’t. He swindled the public and perpetuated medical abuse. He deserves outrage. Indeed, why are people like Steve upset that a person gained financially from twenty years of work? Sounds like communism, 😉 ! Dr. Offit has explained the details here. He came out with a total of $6 million. Yes, that is lots of money, but not as much as being thrown around by those who think he is the devil. Even Olmsted acknowledges that it was not as much as AoA formally wrote about. Hmmm. That’s about three bucks per projected life saved over the next ten years. That’s quite cost-effective, if you ask me. It certainly beats trying to control population through nuclear bombs! Steve, another difference between Offit and Wakefield is that Offit is not going against the scientific consensus on recommending his vaccine. Offit was only 1 member on the CDC committee and there was nothing preventing the majority from voting against him. Furthermore, the committee could have reversed the decision once Offit resigned if the only motivation was profit. Offit also has no influence on other government comittees in other countries voting in favor of the vaccine. Offit is a vaccine scientist, an expert. It makes a whole lot of sense to have h on the advisory committee as he would be very well educated on the pros and cons of vaccine research. To claim that Offit’s financial gain from inventing a vaccine taints his further promotion of all vaccines as a conflict of interest, you have to show that this promotion is only motivated by profit. The fact that scientific evidence supports his promotion of vaccines makes his bank balance irrelevant. Compare this with anti-vax profiteers like Wakefield, Mercola, and Tenpenny. They have absolutely nothing to support their claims but lies. Offit is a hero for all the lives he has saved. Wakefield is evil for all the suffering he has caused. If you can’t grasp the difference between the two men’s characters, you must be totally clueless as the difference is pretty obvious to me. And please don’t accuse me of being ‘communist’ Chris. It shows your total lack of understanding of politics. Communism, like Fascism seek to destroy the free market. In the area of vaccines, the only market is that which is created by government mandate. That, my friend, is fascism, not free market enterprise. Offit makes his money by creating a product and convincing governments to foist it upon the people by falsehood and threatened force of law. I see your sense of humor is directly proportional to your intelligence and honesty. Steve, by scientific consensus I meant the weight of the scientific evidence in favor of vaccines and not an appeal to popularity. Majority of scientists support vaccination because that is the conclusion based on the scientific evidence. Scientists always try to disprove the current theory. Having evidence to turn current scientific thinking on its head would be a gold star in the scientific community. Wakefield is not shunned by others in the scientific community because he challenges the status quo. He is shunned because he does bad science. If Wakefield or anyone else actually had real evidence that vaccines are bogus, then majority would follow that evidence. Scientific consensus once said that cigarettes are healthy, asbestos is safe, lead in paint is harmless and fluoridation is healthy. Except that scientific consensus never said that (except fluoridation – which it still says, correctly, is a good idea). There is a significant difference between not having information on the risk of something, and a scientific consensus involving thousands of studies and thousands of experts. If there was no data about vaccines, then you might have a point. But there is oodles of data. Your points about vaccine studies are your pure conjecture. You have been shown numerous double-blind placebo-controlled studies for numerous vaccines on other threads and you simply pretend you never saw them. Some vaccines are indeed tested against the previous standard of care vaccine. There are comparative studies between different vaccines as well. In fact, vaccines are tested a whole bunch of ways, depending on the vaccine. DBPC, comparative, observational, retrospective, etc. They are among the most extensivley tested medical products available. Nathan, you would be the first to say that if it wasn’t included as part of the study, then the information is not trustworthy. It is truly disingenuous to say that even if the study does’t include this VITAL bit of information it would still be worthy of citation. And why do you bring up Mike Adams? I didn’t. I cited the abstract of the actual research, not an opinion piece. Or is Mike Adams secretly promoting ‘his own version’ of these products (as you so freely accuse ANYONE in science who disagrees with you)? And the research included a vast range of pharma products, not just vaccines. It underlines a PHILOSOPHY of research method that deliberately skews data to get a desired result. Nathan, you would be the first to say that if it wasn’t included as part of the study, then the information is not trustworthy. As much as I enjoy our conversations, Steve, one of the things that really irritates me is that you continually tell me what my position is or what I would say, and you are almost always completely wrong. Studies are mutli-layered. There is the abstract, which is a quick synopsis. Sometimes, as is the case with many Cochrane reviews, there is a “layman’s summary” which makes the abstract easy to understand. Then there is the published study itself, which is the widely-distributed form of the study. Then there may be a “technical report” that contains more detailed information and data about the study. (For example, here is the 400 page technical report from the Price et al 2009 Thimerosal study -https://www.abtassociates.com/Page.cfm?PageID=41077). Then there is all the raw data and details held by the institution that performed the study. Now, if I was looking at a study, and it did not list a critical piece of information, I would look for the technical report, and failing that, request documentation from the author or institution. Or is Mike Adams secretly promoting ‘his own version’ of these products (as you so freely accuse ANYONE in science who disagrees with you)? …I find it another example of your annoying habit of putting words in my mouth. I don’t accuse anyone of that. I have observed that it seems to be the case, and I was referring specifically to proclaimed “experts” on the topic. which has been published for promoting any online business.